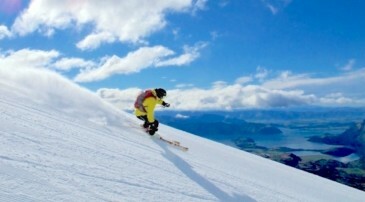 It’s been a chilly few weeks here in Wanaka and Queenstown, with some ‘humdinger’ -7* frosts! 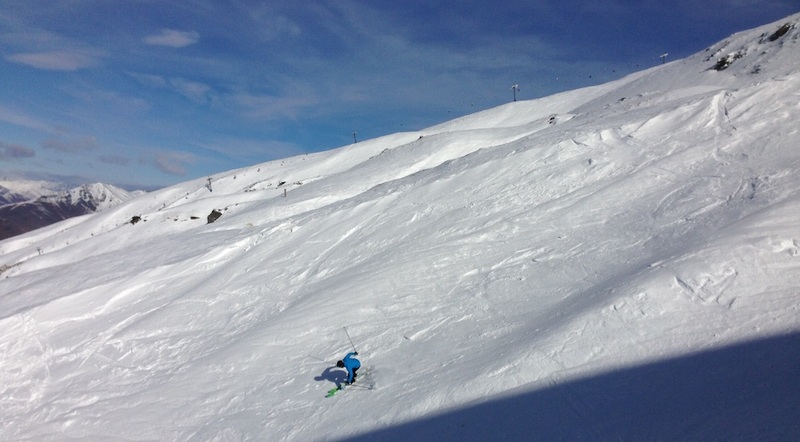 The cold temperatures kept the snow in great condition, and combined with the odd dusting of 10-15cm of fresh throughout the week – it made for another fantastic couple of weeks on the slopes. 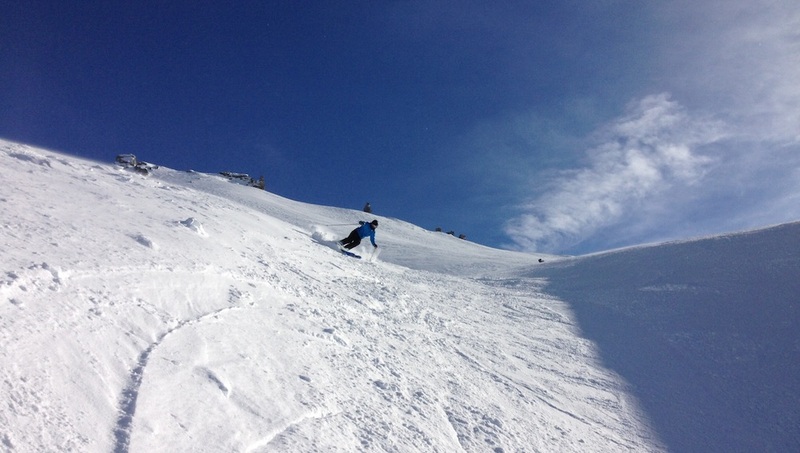 In the last couple days the snow pack had firmed up a little, making it firm at first and softening during the day. This week I got to experience Treble Cone’s new container café this week. What a great idea! 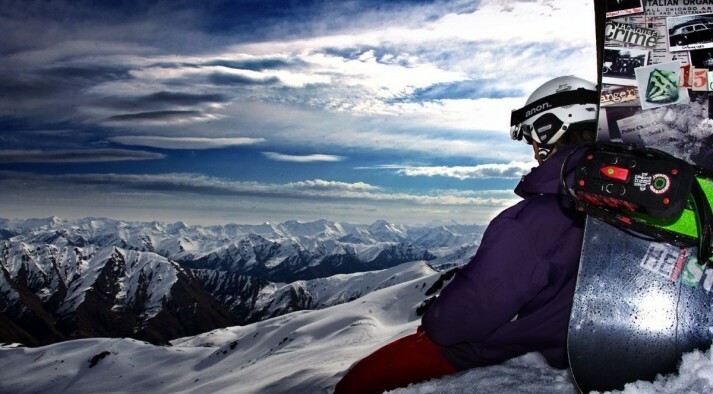 That was one thing that was missing from TC, somewhere to stop and get a hot drink and chocolate bar when you are riding or skiing the saddle basin. Bingo! Problem solved. The Altitude Espresso and Pizza takes care of that, and now we don’t have head to the base, until the end of the day. Ideal! 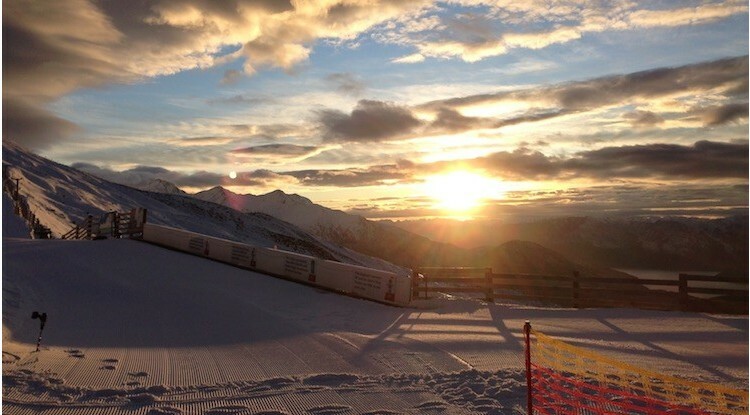 Over at Cardrona, things are looking just as good. They are rocking a nice fat 245cm of snow on the upper mountain. That’s deeper than anyone else around the area! I snapped a screen shot (below) yesterday morning of their webcam. The picture was just so perfect and clear, I was completely envious of everyone up on the mountain. Those lucky folk. 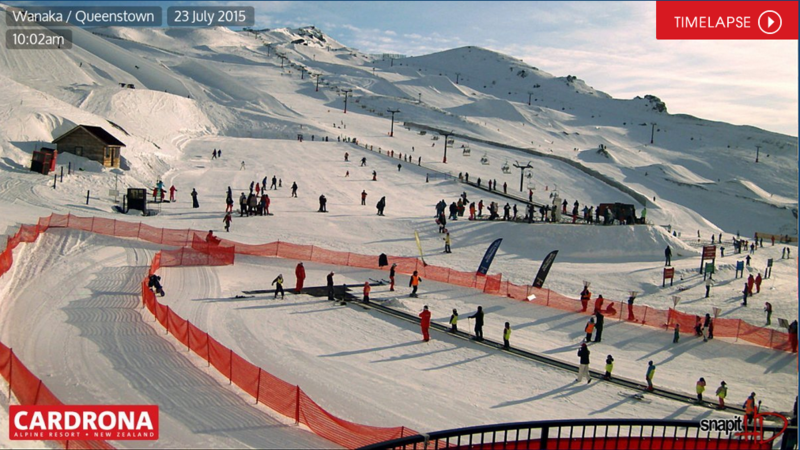 Queenstown are not doing too bad either, with plenty of snow on both Coronet Peak and The Remarkables. 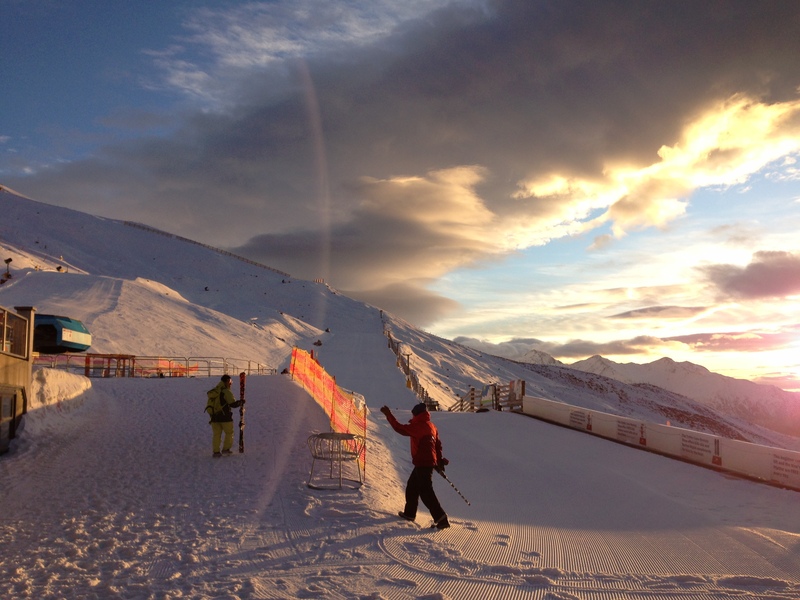 Coronet has been open for night skiing, so if you are up for it, please dress warm. Brr. 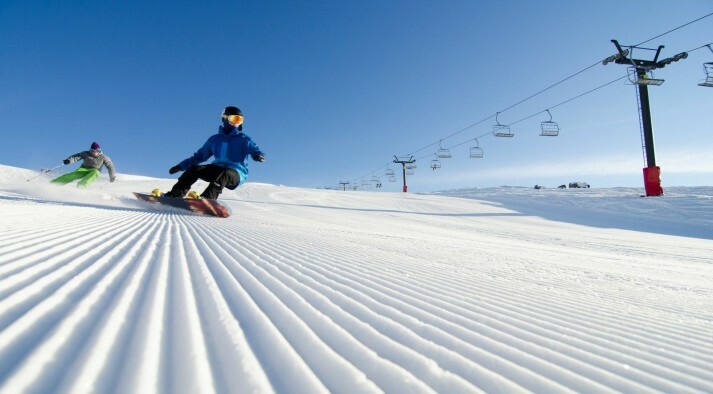 The word from The Remarkables is that their new chair lift is running well, and has helped spread the crowds out over the school holidays. A great investment for The Remarks, and I can’t wait get over there and see the improvements.